The Covenant University, CU Post-UTME/Degree Admission Form, Courses, Eligibility, Admission Requirements, Method of Application for Undergraduates for the 2018/2019 Academic Session. The minimum entry requirements for admission into Covenant University are credit level passes in five (5) subjects at the SSCE/GCE O’Level/NECO/NABTEB or its equivalent, obtained at not more than two (2) sittings. The subjects passed must include English Language and Mathematics. Candidates are also to note that there are other requirements that may be specific to a College and/or a Department. Candidates (National) applying to Covenant University are required to sit for the 2018/2019 UTME examination of the Joint Admissions and Matriculation Board (JAMB) and attain the prescribed cut-off mark. This is a statutory requirement for entry into Nigerian Universities. Candidates are required to apply for programmes of their choice by filling the 2018/2019 JAMB registration forms. Applicants are strongly advised to ensure that their UTME subject combination qualifies them for their chosen programme. Any candidate desiring to apply for a change of course after filling the forms must make their application to JAMB before the release of the 2018 UTME results. In addition to the above, Covenant University conducts screening exercise for all candidates seeking admission to the University and applicants may not be admitted without fulfilling the demands of the screening exercise. 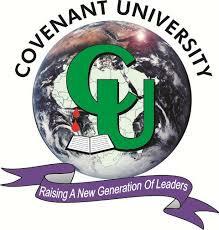 Admission into Covenant University is STRICTLY by merit. We do not ask for money to influence admission. Please beware!!! Before you apply, please read detailed information on academic programs, admission procedure and application deadlines in our admission website. Click here. Fresh applicants are required to create an account. Click Here to create an account. If you already have an account, click Here to login your credentials that will enable you complete your application over several sessions. The system will prompt you on how to complete the application. Once satisfied with the application, click on submit! Covenant University aims to provide prospective students with as much information as possible about our undergraduate programmes, the application and admissions process. In addition to exploring our website, prospective students can join our electronic mailing list to get information about Covenant University, admissions and more. Prospective students can also learn about our undergraduate programmes and the application process by physically visiting our Admissions Office on-campus. Prospective students of Covenant University are to obtain the JAMB forms, choose Covenant University and sit for the Unified Tertiary Matriculation Examination (UTME) of the Board as prescribed in the relevant advertisement for the 2018/2019 admission exercise. In addition, applicants must complete the Covenant University Application Forms, available online. Use the Application Requirements checklist section to prepare your application for submission. Review the website information for your programme of interest, specific programme admission requirements and application deadlines. All materials submitted in support of the application must be received by the published application deadline. It is the responsibility of the applicant to make certain that all admission materials are received by the designated application deadline. Neither the Admissions Office nor the Departments can assume the responsibility of informing the applicant about erroneous or missing materials. All materials (original, photocopied, or electronic document) submitted in support of an application become a part of Covenant University application record and cannot be released to the student or a third party. If application materials are forged, falsified, or altered, the Admissions Office will notify all relevant officials. Submission of such materials will disqualify an applicant for admission. The application form fee is non-refundable. The application form can be saved with a view of completion at a later date. An application cannot be submitted if the application fee is not paid at the end of the form. The application form fee for the 2018/2019 academic year is N5,000 (Five Thousand Naira Only). Post-UTME Screening fee is N2,000 (Two thousand Naira only). Transaction charges apply, N900 (Nine Hundred Naira Only) via card payment and N600 (Six Hundred Naira Only) for bank / over the counter transaction. A statement of purpose (not more than 500-word count) should be prepared and submitted online with the application. The personal statement should address your intellectual interests, academic and professional objectives, visions, and goals for life. Please review the academic programmes for details listed by specific undergraduate programmes. Automatically email your recommendation providers with instructions for online submission of the recommendation. Allow applicants to track recommendations received or not received and follow up with recommenders who still need to submit their appraisals. Expedite the processing of the recommendations, which will be included in the online application once submitted. Automatically notify you when recommendations have been received. There will be a Computer-based Post-UTME screening, which will take place at Covenant University, Canaan Land, Km. 10 Idiroko Road, Ota, Ogun State. The screening schedule would be accessible via the Screening Booking. Candidates will be notified via text messages. Covenant University has introduced the latest indigenous innovation for online payment of fees called ‘CU SANWO’. This platform will be used for processing the card payment for the 2018/2019 academic session. The application form processing fee is One Hundred USD ($100). 1. This guide is for students of Foreign Nationality that have secured admission to study at Covenant University, Ota, Nigeria. 2. A foreign/international student is defined as a prospective student who has been educated abroad, a citizen of a country other than Nigeria, a Nigerian citizen who has been educated abroad and who is a citizen of another country by birth or naturalization (Dual Citizenship). He/She must be in possession of International Passport of another country (besides Nigeria). 3. Such students must possess a duly authorized and current admissions letter by the Covenant University Registrar. It is important that all details appearing on this letter must be in consonance with all legal documents owned by the prospective student. 4. Before entry into Nigeria, an admitted student must possess the requisite visa to validate his length/purpose of stay in the country. Nigerian Visas are obtained in the Countries where prospective students are domiciled or the nearest Nigerian Mission nearest to their Countries of residence. 5. Admitted foreign nationals are to apply for the Subject To Regularization (STR) Visa/Entry Permit. i. The CERPAC form as endorsed is valid for three (3) months from the date of purchase. ii. Please endorse the two sample forms also from the point of collection of the CERPAC Booklet Guidelines. 1. Please read through both forms carefully before completing them. 2. Use a black ball point pen and complete the forms in capital letters. i. The envelope containing this CERPAC Pack should be preserved. You will require this envelope at the time of submitting your forms and documents. ii. All fees paid to obtain forms are not refundable. iii. In the event of loss of form(s), replacement will be treated as a new issue and will attract the original fees. iv. Any erasures, cancellation, or defacement of any sort shall render the form(s) void. v. Any form(s) voided as in 2.4 (above) must be returned as a complete set to the bank of purchase for replacement. Such replacement will attract a service charge and pack cost of N2,500(Two Thousand, Five Hundred Naira) payable to the Bank. i. Three (3) Nos. “2 x 2” passport photographs on white background should be submitted with the completed forms. One of the photographs should be attached to the bottom right-hand side of the CERPAC form titled “Receipt and Temporary Card". e. All completed forms and documents should be submitted to the Immigration State Command where your file(s) is (are) located, for Verification and Clearance. f. At the time of submitting the completed forms and documents, you will be required to present your original Passport for Verification of the documents presented. Receipt/Temporary Card is authenticated and returned to you. You will also be required to physically come into a CERPAC office for the capture of your Digital Personal Identification. 8. All other details can be secured from the Nigerian Embassy in your country of origin. You can also contact the Nigerian Immigration Service website: http://www.immigration.gov.ng/ for more information.